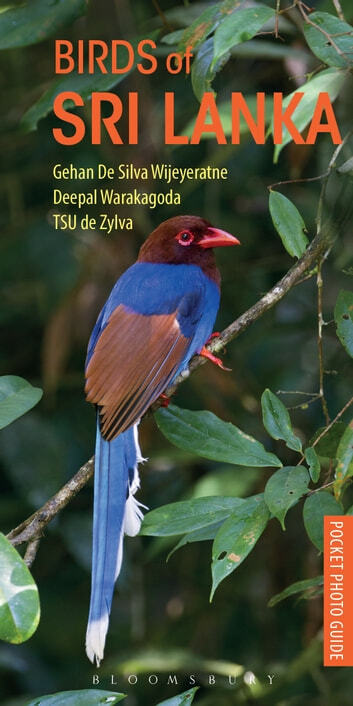 A compact, easy-to-use bird identification guide for any nature watcher on a visit to Sri Lanka, a rich and satisfying destination for watching birds with more than 430 species identified on the island. A total of 252 species is described here in detail, from the Black-rumped Flameback to the Ceylon Blue Magpie. All of these birds are clearly illustrated in a collection of specially commissioned colour photographs. With almost 300 full-colour photographs, easy-to-use thumbnail family silhouettes, a regional distribution map and handy tips on the best birding localities.